Kristi Thompson, Senior Counsel, and Robert Corvin, Manager, Cargo Claims and Risk Management, CMA CGM, one of the biggest shipping companies in the world, will be coaching Tulane Law students in their mock cargo negotiations this week. Maritime law students in law Prof. Raymond Waid’s Cargo class are about to enter tough negotiations on how to move goods from one country to another by sea. For the second time in as many years, students in Waid’s class on April 11 will enter mock negotiations with a bonus not afforded them in real life: Each team will get a coach from CMA CGM, one of the biggest shipping companies in the world. The exercise is one way Tulane Law prepares students to apply concepts learned in class to real-world scenarios, and the help of a corporate partner makes it all the more valuable, Waid said. The negotiation will bring together Waid’s class of 15 students and two coaches from CMA CGM America in Norfolk, Virginia: Kristi Thompson, Senior Counsel, and Robert Corvin, Manager, Cargo Claims and Risk Management. Waid said his class includes international students from Greece, India, Panama, and China. Some of them plan to work abroad, so exposure to global maritime rules is imperative. For the negotiation, the class will split into two teams with appointed negotiators, one side representing the cargo company, and the other, the ship owner. Corvin and Thompson will coach one side each. For CMA CGM, which has 29,000 employees in more than 160 countries, training future lawyers with international maritime skills is important. One of Waid’s first priorities in taking over the cargo class two years ago was to incorporate more practical lessons that would aid the students in their transition to practicing law. “I brought in speakers to address the students, and we’ve done presentations and tours, but I was looking for something more dynamic,” Waid said. When he posed the question to his class the first year, a student suggested the mock challenge. 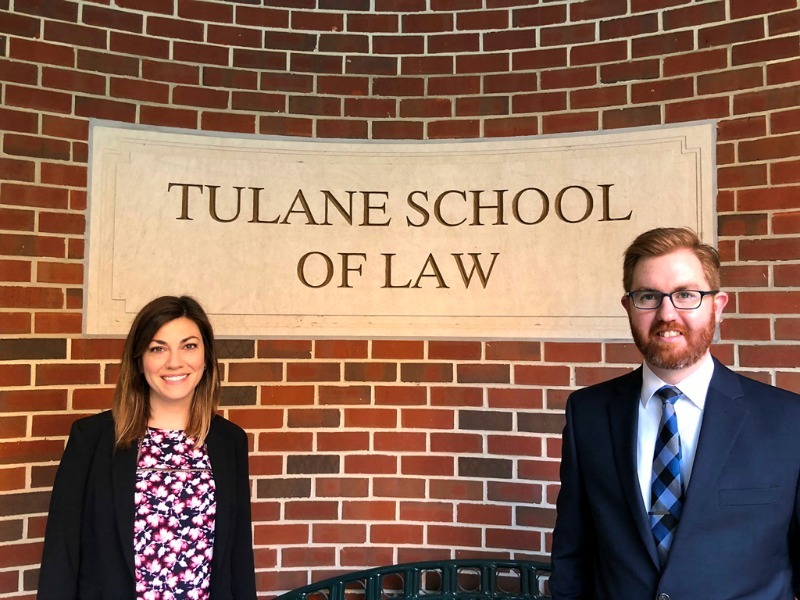 Waid reached out to CMA CGM and Tulane alumna Draughn Whitehead Arbona (L’03), the company’s Deputy General Counsel, North America, and asked if there might be an opportunity to partner in the mock negotiation. “CMA CGM is a leader in the maritime industry, and this opportunity to engage with future maritime lawyers seemed like a natural fit,” Waid said.